Rewards aplenty! The Green Hunt begins! The Green Hunt is here for a limited time, and the rewards are plentiful! 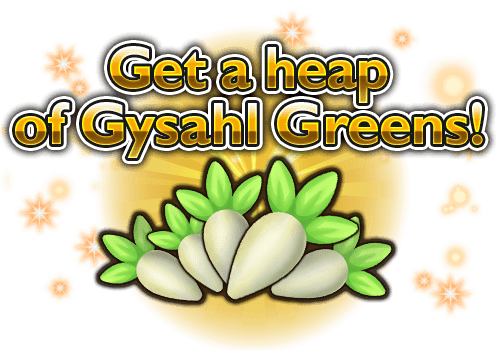 Get loads of Gysahl Greens and power up your party! 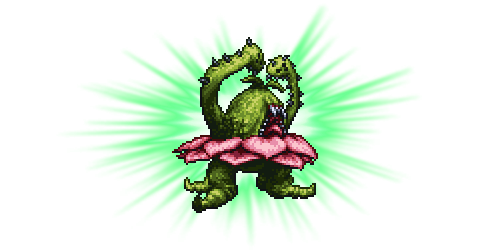 Defeat monsters that drop tons of Gysahl Greens! Ochus will sometimes appear in dungeons during this event! The more difficult the dungeon, the more Ochus will appear to drop bushels of Gysahl Greens! Try your hand at the most difficult dungeons to get more Gysahl Greens! Get Dark Matter at the Fat Chocobo’s Gysahl Exchange! Complete dungeons to gather Gysahl Greens, then trade them for Dark Matter exclusively at the Fat Chocobo’s Gysahl Exchange! Dark Matter can Reforge equipment and raise its rarity by one level, as well as raise the cap on its upgrade level! You can also get orbs, Scarletite, and the like at the Exchange to strengthen your party! Record Synergy will trigger for heroes and equipment from FINAL FANTASY IX! 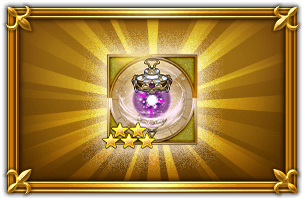 Record Synergy will trigger for heroes and equipment from FINAL FANTASY IX during the Green Hunt! Level up your FF IX heroes now!